In DNA Paternity testing, the DNA profile of the child was compared with the alleged father’s DNA, with or without presence of the mother’s DNA profile. A person’s genetic make-up is unique, since half of the child’s DNA is inherited from the biological father and the other half from the biological mother, through DNA paternity testing one can tell whether the alleged father and the child are biologically related. In DNA Maternity testing, the DNA profile of the child was compared with the alleged mother’s DNA. Since half of the child’s DNA is inherited from the biological father and the other half from the biological mother, through DNA maternity testing one can tell whether the alleged mother and the child are biologically related. The most quick and easy way to obtain DNA from buccal cells for at Home DNA Paternity Testing? Before doing buccal swab sampling, rinse your mouth with water. Use a cotton bud and do swabbing at your inner cheek repeatedly to collect sufficient buccal cells onto the cotton bud. Important: Remember to leave cotton bud air-dried before transferring into a plastic bag or envelop. The buccal swab samples should store in cool and dry place until being sent to our laboratory for testing. Inclusion: When all paternal genes/maternal genes can be found in the son/daughter, the biological relationship is true. A calculated Combined Paternity Index (CPI) of 100 corresponding to an accuracy of 99% is considered significant for inclusion (AABB Annual Report Summary for Paternity Testing, 2010). However, when the father, mother, child are all tested, the accuracy of a true relationship is generally higher than 99.999%. If the mother is not tested, the accuracy is lower than the corresponding case when father, mother, child are tested. Exclusion: The biological relationship is false when not all paternal genes/maternal genes are found in the son/daughter, resulting in mismatched genes (exclusions) at different chromosome loci. AABB Standards (2010) recommended 2 or more mismatches at different loci and a Calculated Paternity Index (CPI) less than 0.0001 (accuracy lower than 0.00001%) are required for exclusion of the relationship, even when genetic mutation rates are considered in the calculation. In case the parents were not legally married when the child was born, then a declaration from the father to confirm the child’s paternity is required for verification of the permanent resident status of the child in the HKSAR by presenting a legal DNA paternity test report (Immigration Ordinance, Chapter 115). When claiming for inheritance, family members will need to prove their relationship with the deceased by DNA testing if the relationship is disputed. In this regard, samples used for postmortem paternity test include biopsy and autopsy tissues, FFPE tissues on slides, or other biological remains of the deceased can also be tested by GenePro. If none of the samples from the deceased person are available, testing samples from other close relatives (e.g. father/mother, brother/sister, aunt/uncle) is an alternative to establish the relationship. Some older generations may not have the same surname with the siblings despite they are biologically related. Changing name on birth registration certificate requires proving whether both siblings share the same biological father. This can be achieved by conducting a siblingship test as well as ancestry study by including other family members when their parents are not available for testing. A DNA test is normally required to prove paternity/maternity of the child if the father or mother wishes to purchase life insurance for the child or appoint the child as his/her life insurance beneficiary. A DNA test is often required in social benefits claims, e.g. public housing. 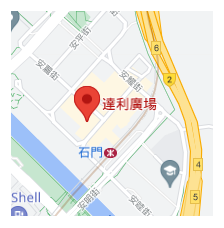 GenePro Dnagnostic Technology (HK) Ltd.